Well, here is the first of the Snow Challenge updates! Painting completed: Nothing, not at all. 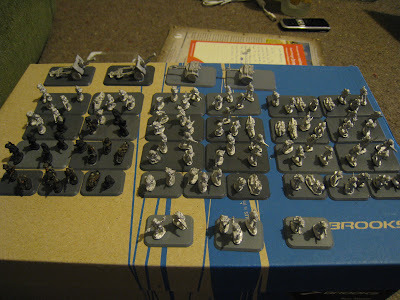 But, I have everything glued onto a base, ready to go, thats gotta count for something right? 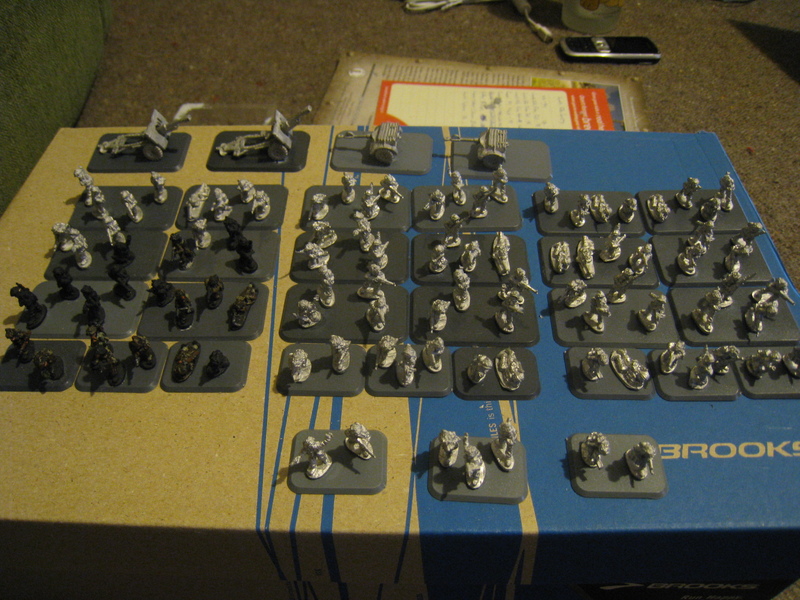 So, my three rifle platoons, the company HQ at the front and the 25pdrs at the back.